The lights went out during the 2013 Superbowl. 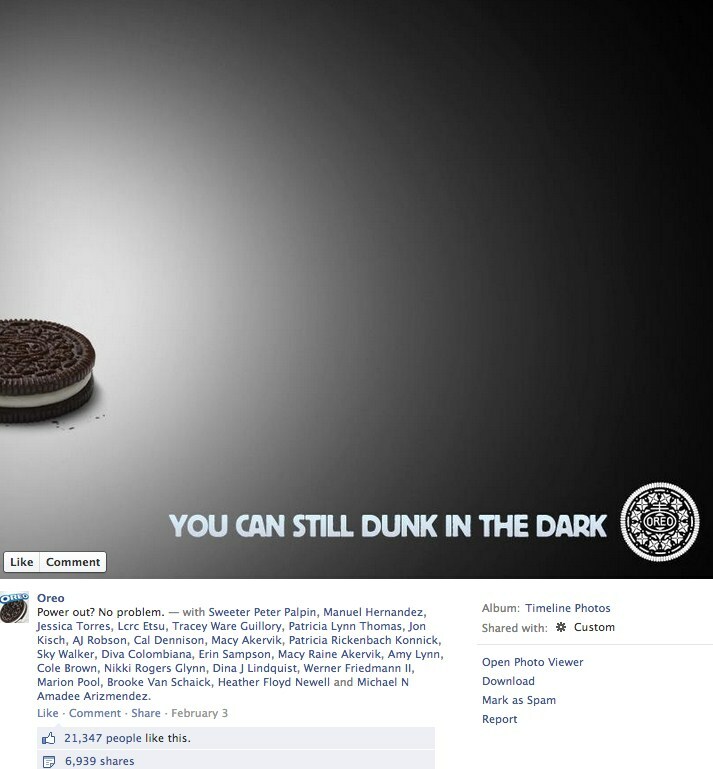 Although the Oreo Facebook Page is managed by an Ad Agency, they were extremely timely with this Facebook post. Whoever runs the Taco Bell account is a genius. 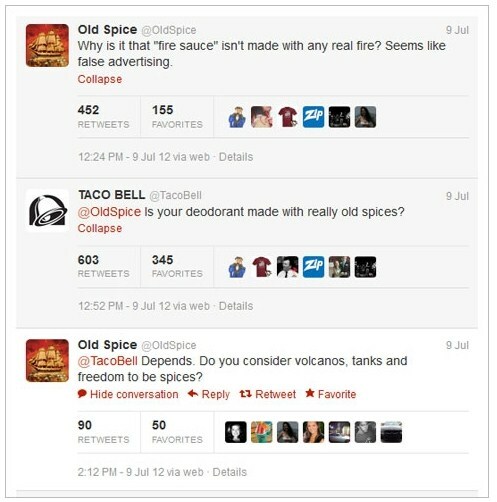 Last year Old Spice tweeted about Fire Sauce, and Taco Bell knew to chime in. You’ll notice that Taco Bell wasn’t even tagged in this Tweet. Taco Bell doesn’t wait to respond when someones tags them, they are proactive and engage with any mentions of their brand. Could the same ad agency manage both Old Spice and Taco Bell? Who knows, but it created great publicity. Does your organization have a rich history like Coco-Cola? Use the timeline the way it was meant to be used. Coco-Cola gives you their complete history on their Facebook timeline. Post a funny photo that aligns with your brand and ask for captions. CBS Sports does this all the time. Taco Bell encouraged its fans to follow them on Snapchat for a special announcement. Not only was everyone excited, but they took screen shots of the message and posted it all over social media. 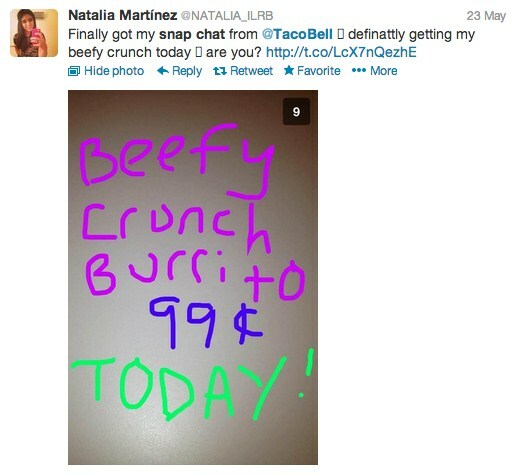 The cult following of the beefy crunchy burrito and the Snapchat created a lot of buzz on the internet. 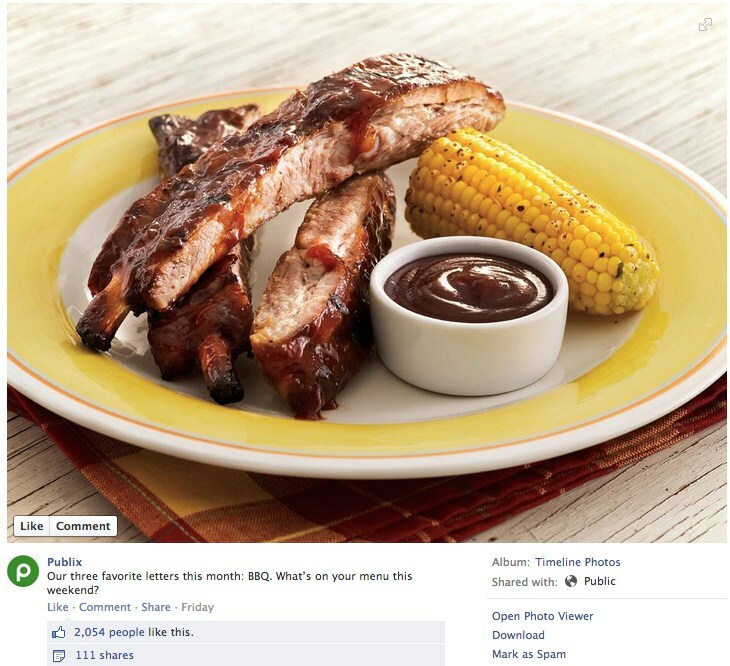 This photo earned a lot of shares for Publix. 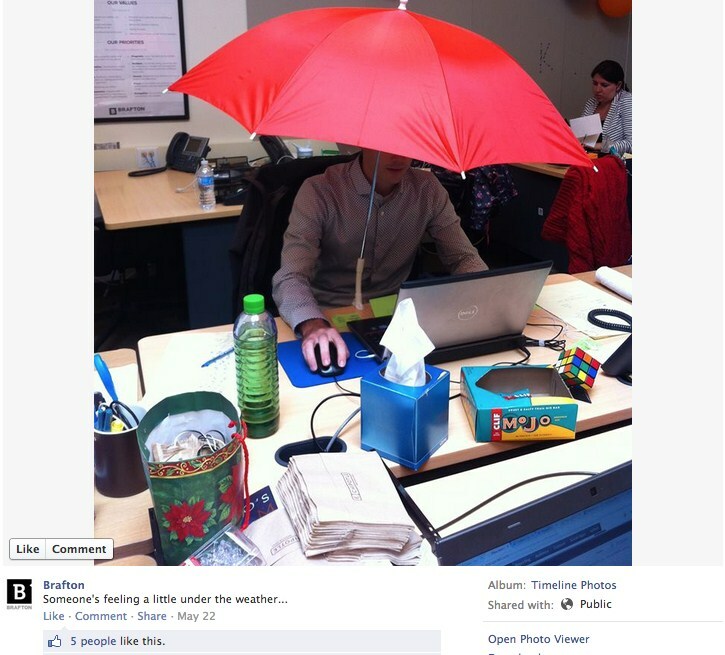 When you post a compelling photo, it will inspire your fans to share it on their pages. This band simply asked for the like and at the time of this posting has 500 Likes. Not sure why the 201st and on Liked it, but all you have to do is ask. Most of their posts only get between 20-50 normally. 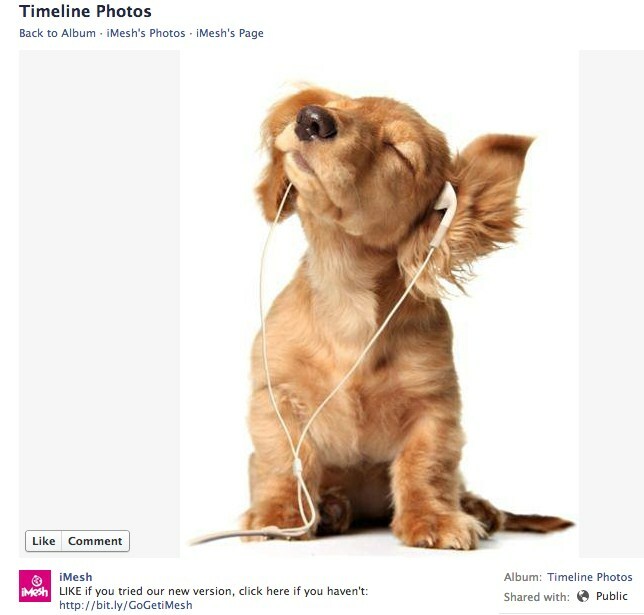 iMesh, a music sharing company, asked for likes if their fans enjoyed the updated platform, and suggested a link for those who haven’t updated yet. They are employing the FOMO (fear of missing out) principal. They are also tracking the clicks with bit.ly. I am very sarcastic by nature, and I love a good sarcastic Facebook post. Kudos Brafton. 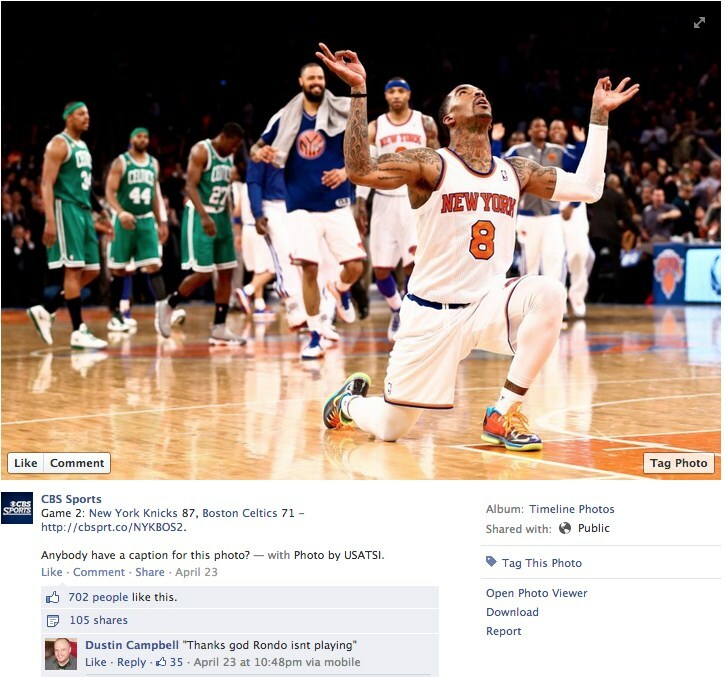 Your fans aren’t on Facebook to be marketed to. Be genuine and you will see success. Nurberxo Does a great job at this as you can see. 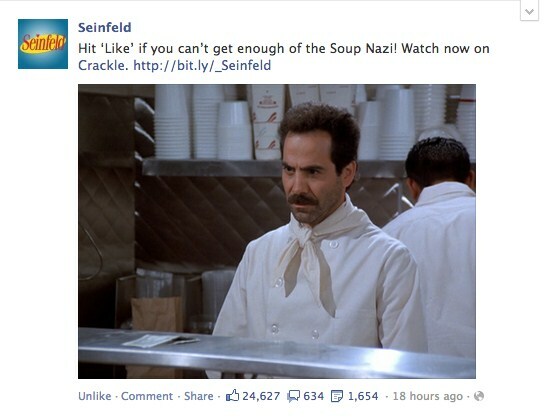 Every Seinfeld fan knows the Soup Nazi! Post something you are sure your fans will remember and get excited about. 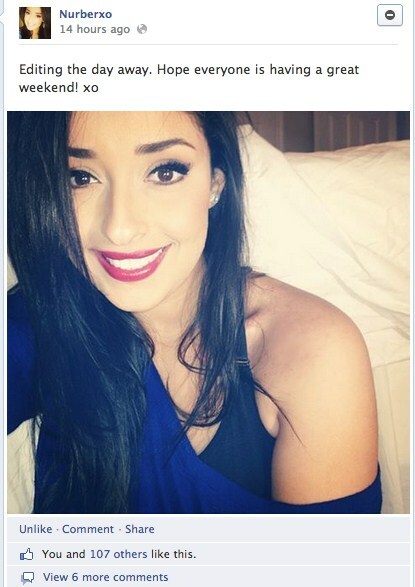 Don’t forget to ask for the Like. 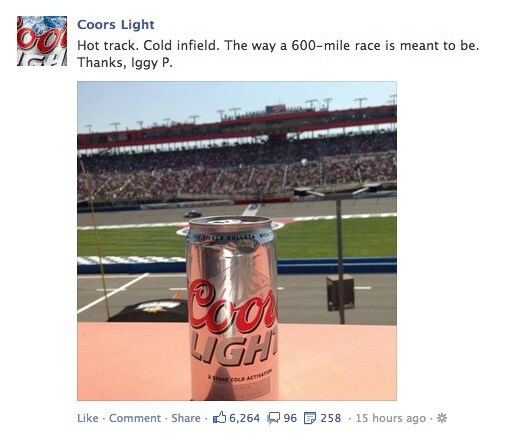 Coors Light posted this while the Indy 500 was going on. They also don’t create too many marketing images like some of the other brands do. This looks like it was taken right from a cell phone. It’s not cold because the mountains aren’t blue. Ourtime is a political organization that engages their fans with fill in the blank posts. Mashable asked its fans a short and sweet question about Arrested Development. 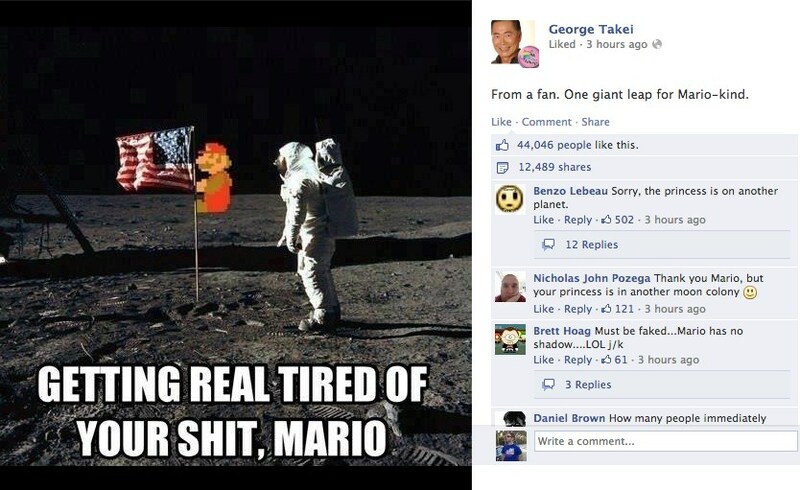 Facebook allows over 63,000 characters in a single post, but that doesn’t mean you have to use them all. America’s Got Talent is starting soon. 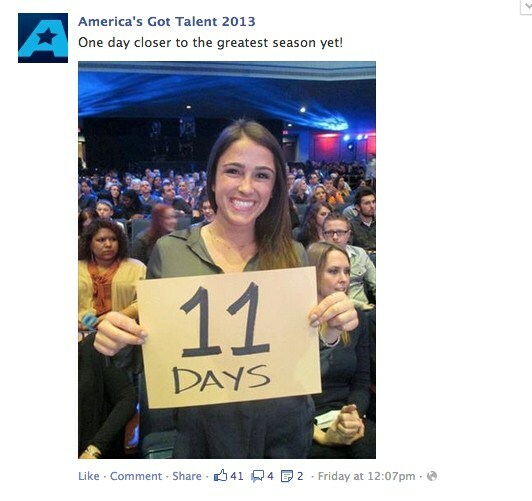 What better way to post a countdown using actual contestants.